The party animals at Burger Records have a lot coming up in 2016. They’ve just announced details for their annual two-day Burger Boogaloo which will happen June 25 & 26 at in Oakland, CA’s Mosswood Park. John Waters returns as host, and he’s bringing his Cry-Baby star Traci Lords with him. The musical lineup includes Thee Oh Sees, The Intelligence, Shannon & the Clams, The Trashwomen, Mummies, Young Fresh Fellows, Angry Samoans, Flamin’ Groovies, The Dwarves, and more. Tickets are on sale. Full daily lineups are below. Elsewhere: the 2016 Burger Revolution, a one-night worldwide event of burger-fueled rock n’ roll uprising, will happen on March 5. New York shows are still being worked out, but you can see all scheduled shows (and join the Revolution yourself) here. 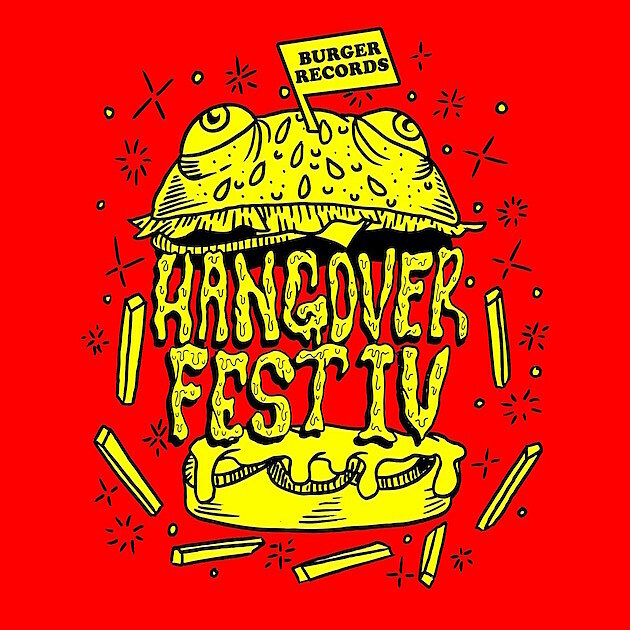 Burger will also be at SXSW and while details or what they’ve got planned is still TBA, they will be hosting Burger Records Hangover Fest IV at San Antonio’s Paper Tiger on Sunday, March 20 with Shannon and the Clams, Night Beats, La Luz, White Lung, Guantanamo Baywatch, All Dogs, Vaadat Charigim and more. Tickets are on sale. You can watch a promotional video and check out the complete announced lineup below.